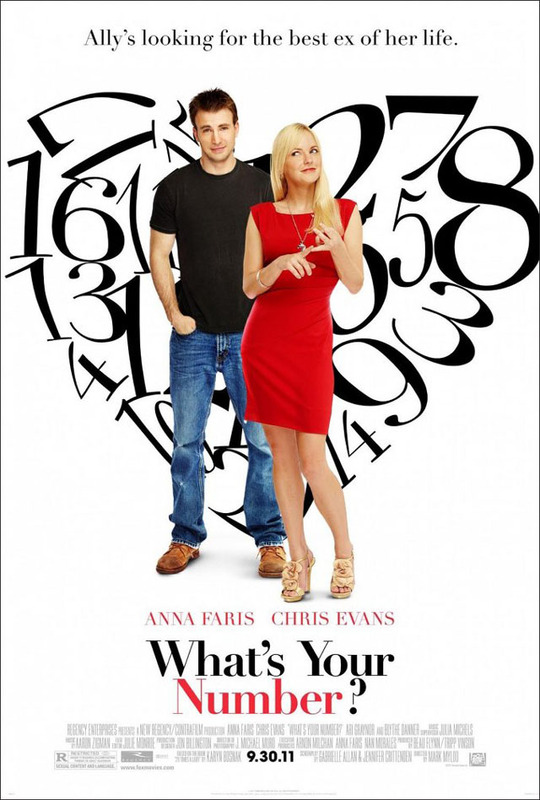 Ally (Anna Faris) has been dating for a while but so far she wasn’t very lucky. But then two things happen that makes her tackle the issue more aggressively: she gets fired from her job and needs to re-orient herself and she reads an article that says that women who sleep with more than 20 men usually don’t get married. After a quick count, Ally realizes that she slept with 19 men so far – and so she decides to look up all her old boyfriends to re-date them and not add to the list. To track all of them down, Ally gets help from her neighbor Colin (Chris Evans) who in turn gets Ally’s help to get rid of the girls he brings home all the time. What’s Your Number? does pretty much everything wrong that a RomCom could possibly do wrong (apart from getting Chris Evans naked a lot, that’s excellent), but at least Ally and Colin are surprisingly likeable. But when that’s the best thing you can say about a film, it’s probably clear that the film really doesn’t need to be seen. Remi (Keaton Nigel Cooke) can’t believe his luck when his dad Danny (Tracy Letty) brings home a dog. Remi’s mother Dina (Julie Delpy) is less taken by Danny’s gift, fearing that she will be the one having to care for it. Pretty soon it becomes clear that it’s not going to work out for the dog in this family. And so begins a oddyssee for the little guy, from one weird owner to the next. 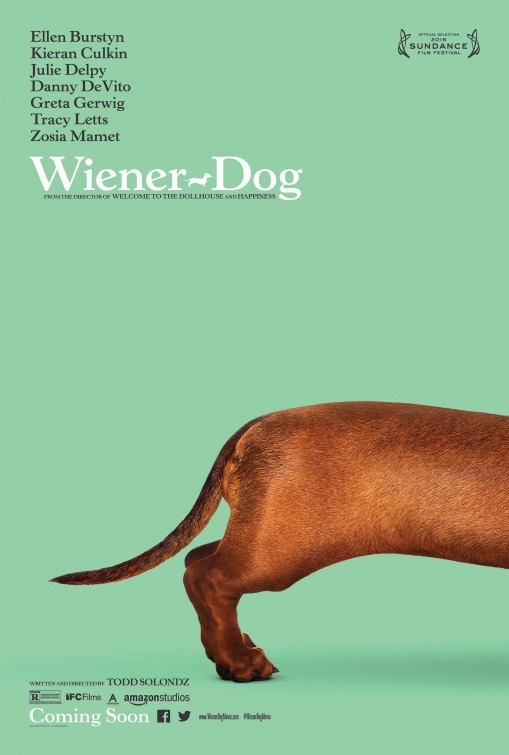 Wiener-Dog wasn’t great, but it was a decent film that was often very funny and sometimes a little too cruel. There are many things to like about it, but also a few things I didn’t like. 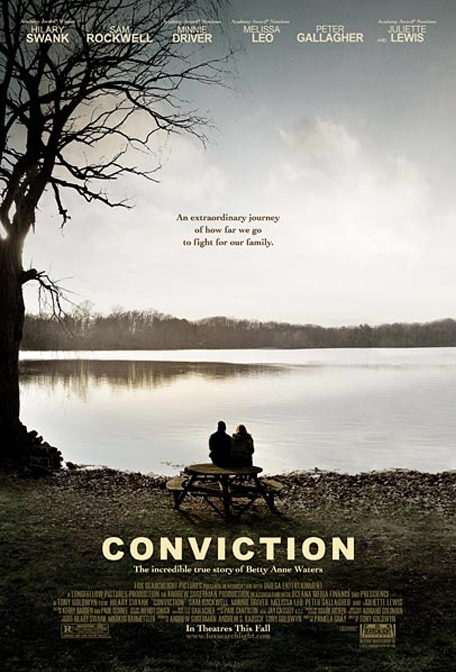 Conviction is the newest film by Tony Goldwyn, starring Hilary Swank, Sam Rockwell, Minnie Driver, Melissa Leo, Clea DuVall, Ari Graynor, Peter Gallagher and Juliette Lewis. Kenny Waters (Sam Rockwell) gets convicted of murder. He insists that he’s innocent and his sister Betty Anne (Hilary Swank) believes him. From then on, she does everything she can think of to get Kenny out. She even starts going to law school in the evening, even though she has a a job and two kids. And she sticks with it – for 16 years. Conviction tells a fascinating story but gets a bit too sappy at times. But anchored by the amazing cast, you can lean back and enjoy the sap. Nick and Norah’s Infinite Playlist is Peter Sollett‘s adaptation of Rachel Cohn‘s and David Levithan‘s novel, starring Michael Cera, Kat Dennings, Aaron Yoo, Rafi Gavron, Ari Graynor, Alexis Dziena and Jay Baruchel (and a mini-role for John Cho). Nick (Michael Cera) plays in a Queer Core band “The Jerk-Offs” with his friends Thom (Aaron Yoo) and Dev (Rafi Gavron), but he happens to be straight. In fact, his girlfriend Tris (Alexis Dziena) just broke up with him and he’s pretty heart-broken, spending most of his times making break-up mix-CDs for her, which Tris throws away, only so that they be rescued by Norah (Kat Dennings). Then one night it’s announced that famous publicity-shy band “Where’s Fluffy?” will put on a surprise performance, which gets Nick out of his stupor and into a show with his own band, where he meets Norah, who asks him to pretend to be her boyfriend for a minute. But that’s only the start of a crazy night. 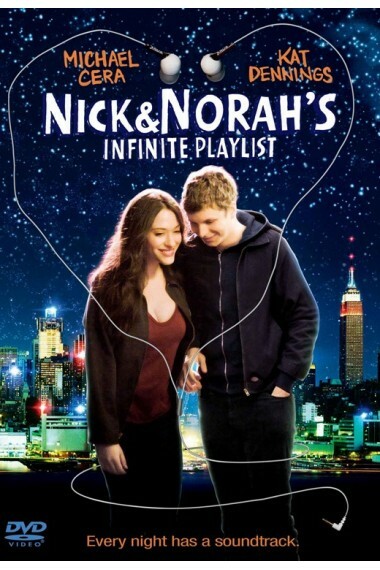 Nick and Norah’s Infinite Playlist is a sweet film that doesn’t do anything wrong. And yet, it remains kinda bloodless. I never really got into the story or Nick and Norah as a couple.